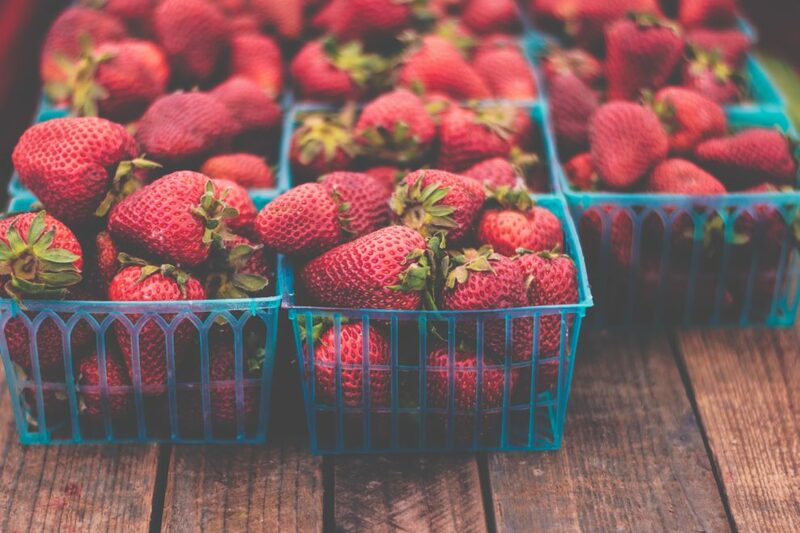 While a strawberry is small, it is mighty when it comes to health benefits. The pink-red fruit is sweet, juicy, and can become a part of several desserts. Most people eat strawberries by discarding their leafy tops, even though those are edible too. In fact, the calyx of a strawberry is also beneficial for health. Strawberries are full of fiber, vitamin C, and antioxidants which explains why they are perfect for snacking on. Owing to the fact that strawberries are packed with vitamin C, they are incredible immunity boosters. This means that one’s system is made more resistant to flus, coughs, colds, and other infections by eating this fruit. A single serving of strawberries meets 150% of the body’s per day energy needs. Vitamin C also works as an antioxidant that fights free radicals that can damage healthy DNA. Free radicals can cause a whole lot of harm. They trigger inflammation which can lead to joint and muscle problems. Since they contribute to damaging muscle tissue, toxin buildup occurs which can lead to gout and arthritis. The antioxidant content of strawberries can reduce inflammation, neutralize free radical damage, and treat symptoms of arthritis and gout. Strawberries can better one’s eyesight and prevent age-related vision problems such as macular degeneration. The flavonoids and phytochemicals that strawberries comprise prevent free radicals from damaging crucial ocular structures. Therefore, consume strawberries if you want to protect your visual organs from damage and have a healthy eyesight. These berries also improve one’s cognitive working and emotions. The tiny seeds that strawberries house are loaded with omega-3 fatty acids that have been shown to be mood-boosters. Fatty acids also improve cognitive functionality. The vitamin C that strawberries contain can help reduce stress as it works against cortisol, the stress hormone. So much so that these pink-red fruits can also soothe depression. Strawberries may also be of aid in maintaining healthy blood sugar levels. They can also improve insulin sensitivity, particularly, when paired up with a carbohydrate-rich diet. This also helps prevent metabolic syndrome and type 2 diabetes. Studies suggest that strawberries have this quality owing to their rich antioxidant content. Studies show the link that strawberries share with heart health is positive. Since the fruit is an abundant source of berry anthocyanins it is able to benefit health. This is because berry anthocyanins can reduce inflammation and combat oxidative stress along with lowering blood pressure markers and cholesterol. Unlike apples and several other sweet treats, strawberries come with fewer calories and sugar. These fruits can meet the needs of your sweet tooth without contributing to weight gain. Hence if you want to keep your weight maintained along with fulfilling your want of eating something sweet, strawberries should be your go-to option. Why Should You Always Drink Apple Cider Vinegar With A Straw?